Clinic Synopsis: How an improvised solo is constructed is crucial to its musical impact. Masters such as Charlie Parker and Miles Davis developed melodies that they then used throughout their careers, but their instincts and artistic genius allowed them to assemble and alter those melodies in endless ways that were profoundly musical. Using a limited number of melodies and limited space, students can develop musical instincts by practicing the art of timing and pacing, as well as balancing melodic content using timeless concepts such as symmetry, repetition, “more versus less” and the contour line. When listening to classic recordings, these concepts help students to go beyond the notes, more quickly absorbing musical intent and enabling them to play more mature solos. In the end, it’s a natural and intuitive approach, forming a concept in solo construction that is both instinctual and musical. 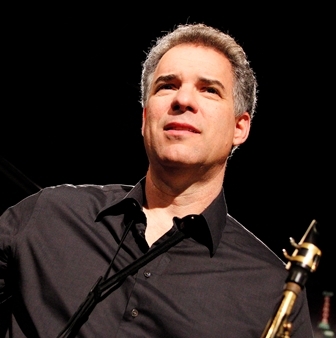 Clinician Biographical Information Jim Snidero attended the U of North Texas, where he was a member of the “One O’clock band”, before moving to New York in 1981, studying with both Phil Woods and David Liebman. His solo credits include 17 recordings for EMI, Milestone and Savant, including “Strings” (Milestone), which he composed for string orchestra, hailed a “masterpiece”. In 2011, “Interface” (Savant) prompted a full-length feature in Downbeat magazine, stating he has “deep swing and effortless musicality that aspiring sax wizards can only dream of”, demonstrating his continued relevance on the international jazz scene. Snidero is also considered one of the most influential jazz educators of his generation, authoring the “Jazz Conception” series, “changing the way jazz is taught”, and founding “The Jazz Conception Company”, producing multimedia courses using an iPad app. He is an adjunct at New School U and was a visiting professor at Indiana U and Princeton. Snidero is an active clinician for Conn-Selmer and Rico.